Dino Rossi, the newly crowned Republican candidate for the U.S. Senate, has been named an honorary captain for the Spokane Shock for tomorrow's ArenaBowl matchup against the Tampa Bay Storm. Naturally, the move has ruffled some feathers among the more blue-minded. In a press release/call to action issued by the Spokane County Democrats, the move was denounced as sullying the "championship atmosphere" the Shock are apparently trying to cultivate. "We disagree with the organization's sentiment that the decision to add two time loser Rossi to the program was done as a way to further 'add to the championship atmosphere' at Friday's game," they snarked. The release also went on to suggest that perhaps Shock management was planning a sort of reverse-jinx by attiring Rossi in a Storm shirt. The Dems argue that the game is sacrosanct. "Let's keep the Shock championship game focused on community building, not divisive politics," they said in the release. 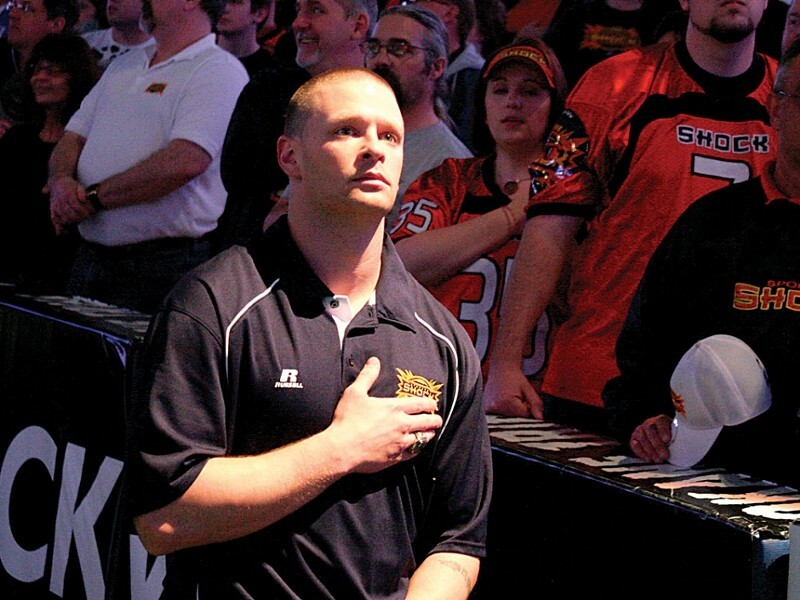 Kevin Maloney, director of communications for the Shock, says owner Brady Nelson is friends with Rossi, and previously invited him to be an honorary captain prior to a game in 2008. "It's not the first game he's attended," Maloney says. Nelson says he's obviously aware Rossi is running for Senate, but doesn't really view this as a boost or hindrance to Rossi's candidacy. "I do support him, and I'm certainly not ashamed or embarrassed to have invited him," Nelson says. For what it's worth, when asked if he considered inviting Sen. Patty Murray to perform the same honor, he answered, "No." Read our story this week about Shock coach Rob Keefe. In an attempt to ensure that absolutely no one has a good time at the game, the Shock have been selling vuvuzelas for $6 at their office, and (for now) will sell them tomorrow for $8 at the Arena. The Storm, none too happy about this (like the rest of the fans who know how annoying the vuvuzela is), are claiming this falls into a gray area. AFL rules ban "mechanical noisemakers" from games … but a vuvuzela's a horn, not a noisemaker. Sadly, this may be something fans just have to live with. Bill Moos, athletic director for Washington State University, will be on hand at the ArenaBowl as well. As part of the pre-game ceremonies, he will deliver the game ball to the field. Additionally, Maloney says that WSU and the Shock have partnered in a ticket-honoring deal. All ticket stubs for the ArenaBowl can be redeemed for a free ticket to the Cougars' home opener against Montana State on Sept. 11. Tickets can be redeemed at the WSU ticket office prior to or on the day of the game.